The Economist Intelligence Unit listed Damascus, the capital of Syria, in last place among the 140 cities surveyed in its Global Liveability Ranking for 2015, which was released this week. First place went to Melbourne, Australia. The study surveyed, among other things, the security of the cities’ inhabitants and how it affected their lives. One can hardly argue with the finding about Syria’s capital: About 110 inhabitants of Douma, a Damascus suburb about 15 kilometers from the city center, were killed just this week. 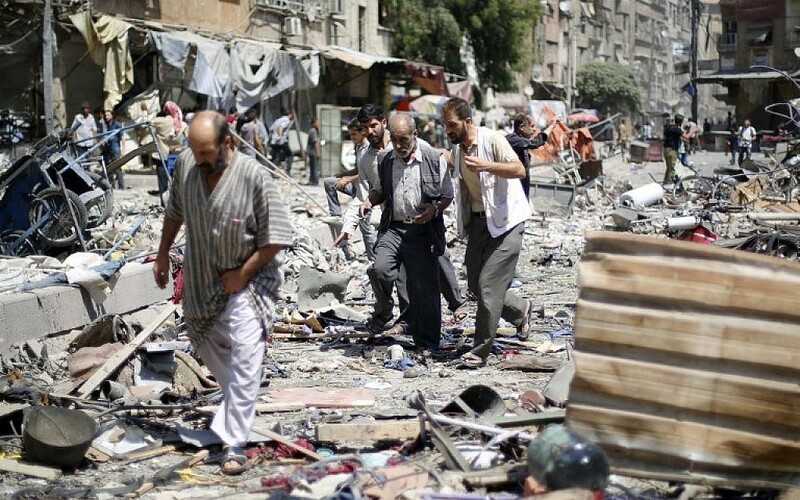 At 2 p.m. on Sunday, the Syrian Air Force bombed the city’s central marketplace, killing and wounding hundreds. Eyewitnesses said piles of corpses were strewn among the fruit and vegetables. The next morning, after an explicit United Nations condemnation of the Syrian attack, President Bashar Assad proved how much he believed in the famously dismissive Israeli expression about the UN, “Oom, shmoom” (“Oom” being the acronym in Hebrew for the UN), by dispatching his aircraft back to Douma for another bombing sortie. 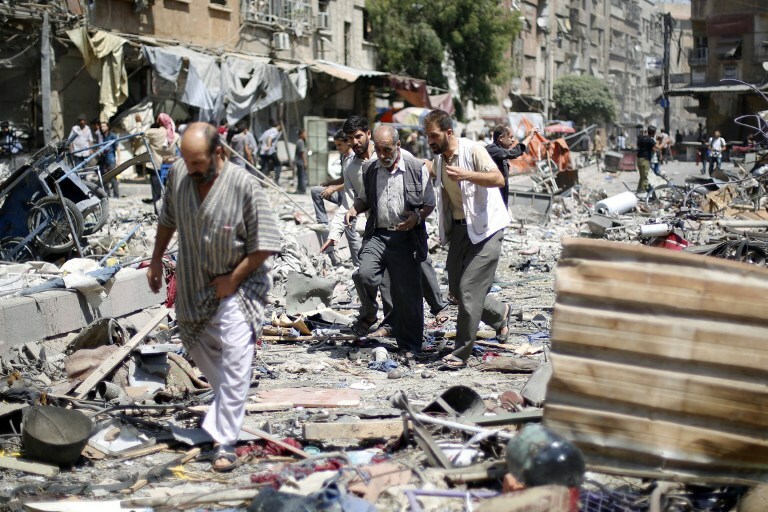 For Assad, the eastern outskirts of Damascus are a preferred target. In August 2013, he attacked Ghouta al-Sharqiya, a suburb near Douma, with chemical weapons — an incident that eventually led to an agreement on Syria relinquishing its chemical arsenal. Douma, and mainly Ghouta al-Sharqiya, are considered strongholds of the Islamist opposition group Jaish al-Islam (the Army of Islam), which does not identify with the Islamic State. The regime claims that the Syrian aircraft attacked the headquarters of Jaush al-Islam, but members of the group say that its headquarters are located three kilometers away from the Douma marketplace. Jaish al-Islam’s presence inside Damascus is not the main problem Assad faces for control of the capital. 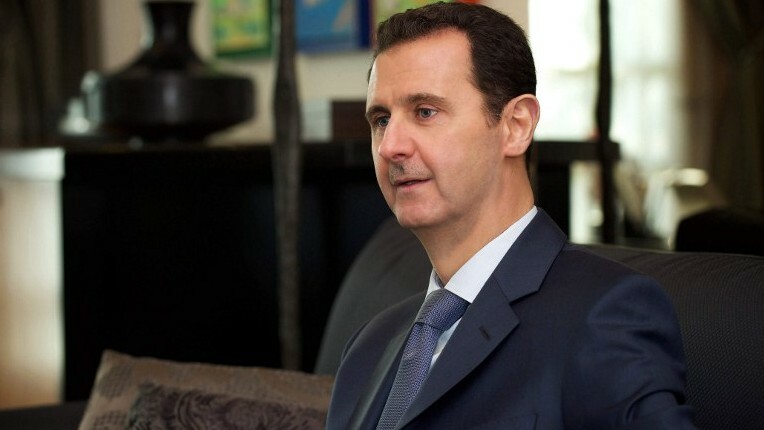 For the Syrian president, the prime concern is the Islamic State’s advance toward Damascus. The various opposition groups, notably including IS, are slowly closing in on Assad’s home. IS already has a presence in the Palestinian refugee camp of Yarmouk, adjacent to the city, where it is working against the regime together with activists from Al-Nusra Front (which is fighting against IS in other sectors in Syria, such as the Golan Heights front). For IS, Damascus is the bottom-line goal. It is not a secret target; IS has promised more than once that it will conquer the capital. The pace of its progress, at least for now, is quite slow. It captured Palmyra several months ago. Raqqa, Islamic State’s capital city, is fairly distant, but its people have succeeded in reaching Bir Qassab, roughly 40 kilometers southeast of Damascus, and for now they have stopped there. For Assad, the president of “Lesser Syria,” evil will come from the east, since the general direction of IS is clear: to move westward toward the capital and drive the embattled Syrian president away. For IS, that goal still seems far off. For the most part, fighting in areas of Damascus has not reached the downtown section, though it does spill over there on occasion. That happened last Thursday, when a mortar shell landed in the heart of Damascus, killing six inhabitants. Islamic State has some thorny logistical, military and economic problems. Its troops are deployed throughout Syria and Iraq to the limits of its capabilities. The stream of volunteers continues, though at a slower place due to firmer action by Turkey against Islamic State. On the other hand, the Syrian army, which has enough troops and arms to protect the capital for now, is receiving massive support from Iran and Hezbollah. In addition, Islamic State is under constant attack from coalition aircraft. Still, the trend in Syria is clear: Islamic State’s progress toward the capital has not been stopped. It should be emphasized that if Assad were to flee the capital, it is doubtful that the civil war would end quickly. It is believed that in such a case, he would move to the Alawite coastal strip of Latakia and Tartus, where he would try to hold onto the territory and cause as much damage to his various rivals as possible. Although the Syrian army is still capable of defending Damascus, it is hard to predict how long that capability will last. The army has been fighting various groups for more than four years. Tens of thousands of its combat troops have been killed or wounded, and its members are exhausted. One major incident, such as the fall of a base or a strike against a leader of the regime or the army, could bring about the collapse of Bashar’s military system and the abandonment of the capital. A scenario of this kind took place in Iraq more than a year ago when Mosul, Iraq’s second-largest city, fell to the Islamic State. The regular army simply fled without a fight. It also happened in 2000 when the South Lebanese Army collapsed and abandoned its positions as it felt Israel’s withdrawal from the so-called southern Lebanon security zone approaching. Journalist Robert Fisk claimed this week in the UK’s Independent that the aerial attack on the inhabitants of Douma was a response to the firing on Damascus a week ago and to the danger looming over two Shi’ite villages in the Idlib district. In other words, since members of Jaish al-Islam and al-Nusra Front are constantly threatening Kafarya and Fouah in the Idlib district, where 40,000 people live, the regime is using Douma to create a “balance of terror.” The message that Bashar is trying to convey to those groups is: Leave these two Shi’ite villages alone, and I will leave Douma alone. The danger to Damascus does not stop at the advancing military threat. While the battles being waged now in Zabadani, on the border of Syria and Lebanon, are critical for Hezbollah because of the proximity to Lebanese territory, they are just as important for the capital. This is because Damascus’s water sources are in the Zabadani region, and Bashar fears that members of Al-Nusra Front and other groups who are fighting there against the Syrian army and Hezbollah will try to block the water supply to Damascus. Once again it should be emphasized that the balance of power – or, of terror – that has been created in Syria does not look like it will be changing anytime soon. The various reports of talks between Saudi Arabia, Iran and Syria about a diplomatic agreement of whatever kind to end the civil war there also seem irrelevant at this time. Wholesale massacres are taking place; everybody is killing everybody else. Only the death toll and the number of refugees keep changing. The situation on the Syrian Golan Heights is mostly a stalemate, with Israeli encouragement. Last year, real fighting was still going on and opposition troops were advancing. There is still fighting at present, but no advancing. Last spring, opposition troops were still threatening Khader, but the outcry of the Druze here led Israel to reach certain understandings with the various groups on the Syrian Golan Heights – understandings that stopped the attack on Khader. Thus was born yet another impossible reality in the new Middle East: Israel intervenes to prevent a Sunni attack on the Druze village of Khader, which in turn enables Shi’ite activity against Israel.